Tuesday’s finale show will mark the end of yet another season and will announce another talented winner in hopes that they will soon ascend into music super-stardom. 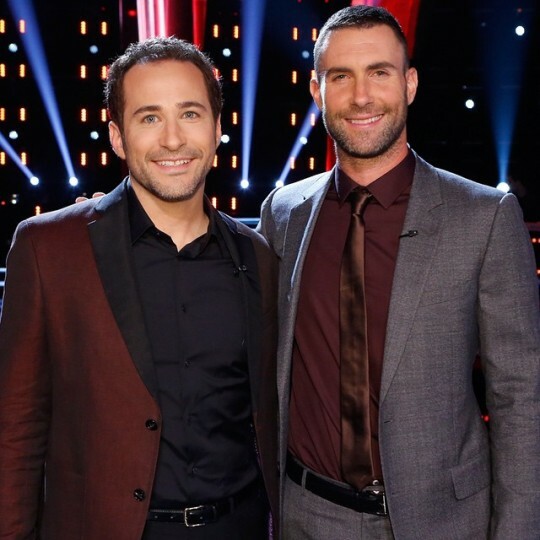 It’s been an unpredictable season eight for “The Voice.” The show has seen some of it’s most talented artists ever with the remaining contestants – Meghan Linsey from Team Blake, Joshua Davis from Team Adam, and Sawyer Fredricks and Koryn Hawthorne both from Team Pharrell. 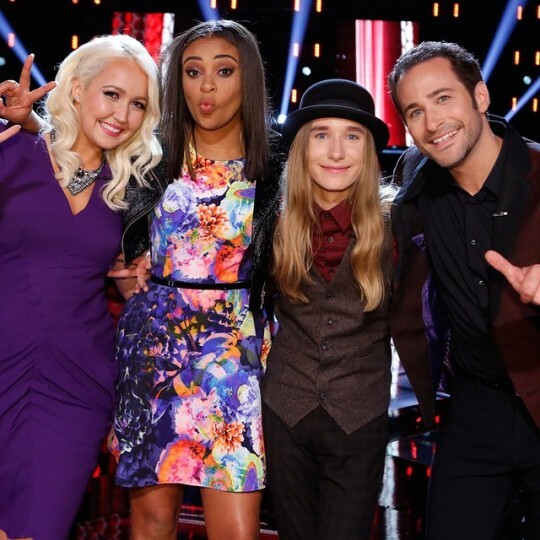 The last artist from Team Christina, India Carney, was eliminated in last week’s results show. Tuesday’s finale show marks the end of yet another season and will announce another talented winner in hopes that they will soon ascend into music super-stardom. Each of the remaining artists are surely capable of that. 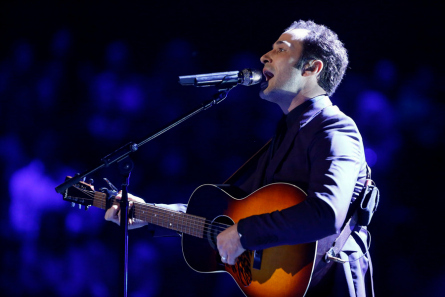 But, hearing the words from “The Voice” host Carson Daly that Sawyer Fredricks has been continuously in the Top 10 on iTunes each week, my vote is leaning towards him. But, then there’s Meghan. Super-talented and super-polished Meghan is comparable to some of the biggest stars in music. Coaches’ Comments: Blake said her performance proves that she deserves to be in the competition. Coach Pharrell told her “you did it” and he stood up for her while encouraging the audience to do the same. He continued “when is the last time we saw a young woman control the band” and everything in the room? Coaches Comments: Adam said “it’s a dream” because Pharrell wrote her a song and she delivered the vocal “joyfully.” He said he wants “one of those.” Christina said although it didn’t work out with her as a coach, “this moment would not have happened” for her without Pharrell. Coach Pharrell was over the top that Koryn got to sing their song in front of everybody and called Koryn special. Coaches’ Comments: Adam said it’s like if he was 16-years-old and Eddie Vedder (from “Pearl Jam”) handed him a song to sing, that would have blown his mind and said “dude, you win” and “that’s the greatest thing ever!” Coach Pharrell said it’s a beautiful moment for him because he got to watch someone’s dream come true. 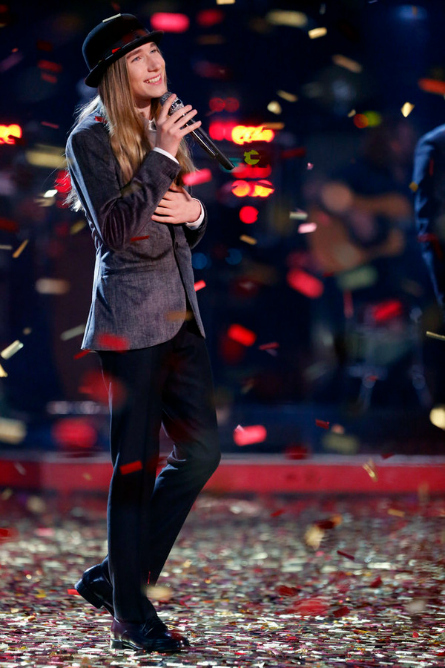 Host Carson Daly stated that Sawyer is the only artist who after each live show is in the top 10 on iTunes. 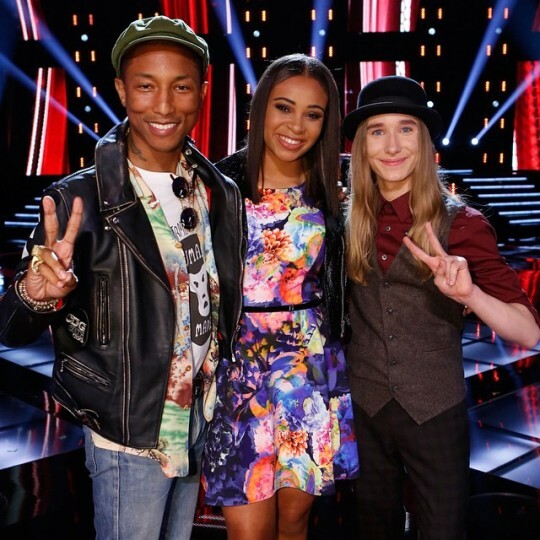 Pharrell said Sawyer is wise beyond his years. Coaches Comments: Adam said no matter what, it’s the purity and the sanctity of who Sawyer is and to never lose sight of that. Christina told him she was shocked when he picked Pharrell, but is so happy he did because Pharrell has chosen every single moment in his journey “so perfectly” and Sawyer is “a gem.” Coach Pharrell told him regardless of what happens, Sawyer is living the dream and he’s happy to be part of it. Coaches Comments: Former coach Blake was really impressed to see that “super singer song-writer” side of Joshua and said the song is stuck in his head afterwards. Coach Adam told Joshua he wrote a “fantastic song” and he’s the “real deal”. Coaches’ Comments: Christina told Josh she was excited to watch him grow and has seen a lot of versatility with him. She called his performance “heart-warming”. Coach Adam told Josh he likes his settlety and happy that Josh “went for it” in a way he never had. Joshua and Adam sang Paul Simon’s folk song “Diamonds on the Soles of Her Shoes”. 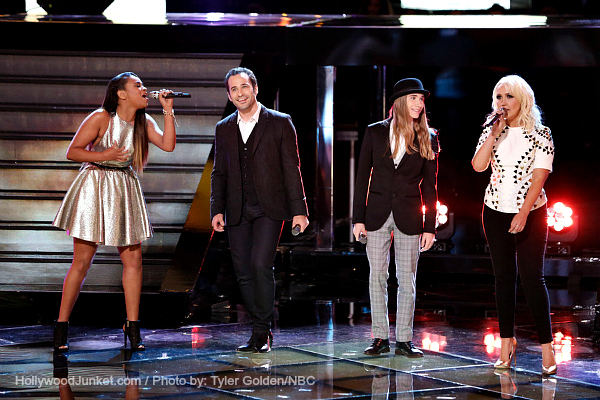 Coaches’ Comments: Adam said he’s happy she did this – singing music that she wrote and created. Coach Blake called “the hook” strong and powerful. Coaches’ Comments: Former coach Pharrell said Meghan is “living the dream”, and she has completely re-written her future. Adam told her his favorite thing about her voice is she has that one extra gear that’s “like seventh gear,” and she has an extra special something. Coach Blake agreed with Adam and “you never know what’s happening when you get to the finale” like who the favorite is. He said it was his favorite performance of the night. 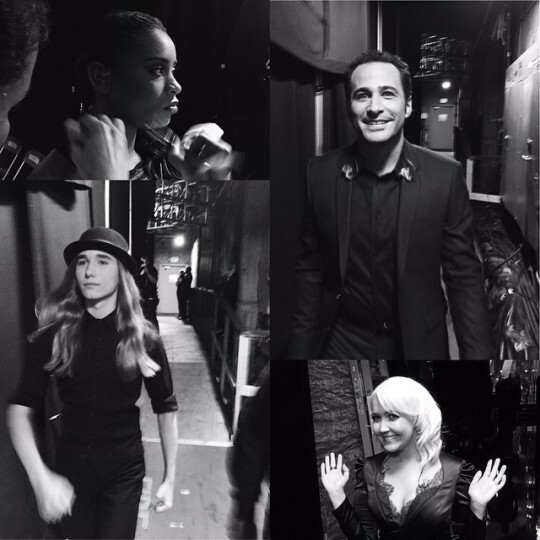 The Top 20 returned to “The Voice” stage to open the show with a performance. Other guest performances lined-up for the night include: Meghan Trainor, John Fogerty, Kelly Clarkson. Adam said Joshua has “an unwavering dedication to the kind of artist he wants to be.” Pharrell spoke of his two finalists that they are just happy to be there. Christina without any artists left in the race, said she has been impressed by everyone. 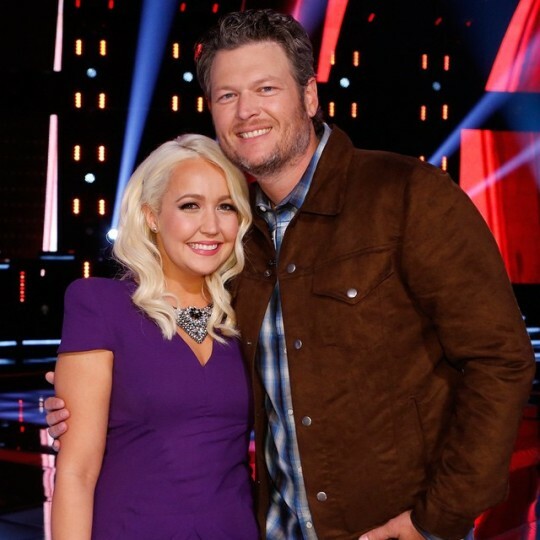 Blake boosted that he’s “pretty damn confident” with his only artist Meghan Linsey. During each ‘Voice finale show, the finalists get to choose which past artists from their season that they want to bring back to sing a song with. Joshua Davis brought back artists – Brian, Corey, Deanna and Kimberly to sing “She Talks to Angels”. Meghan Trainor sang “Dear Future Husband” a cappella style with just a small guitar with audience claps. 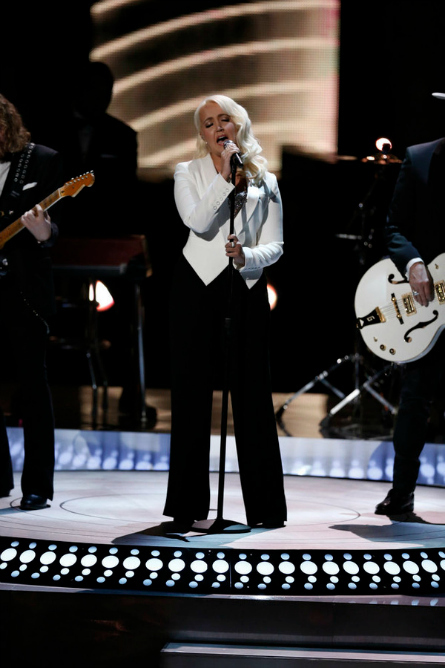 Meghan Linsey chose to bring back Sarah Potenza to sing “Piece of My Heart” by Janice Joplin. Adam Levine’s band Maroon 5 performed after that. Special guest John Fogerty sang with Sawyer Fredericks “Born on the Bayou” song. Sawyer Frederick’s got his first car when “The Voice” awarded the Top 4 with 2016 Nissan cars. After that, Country star Luke Bryan performed. Koryn chose Tonya Cannon-Boyd, Mia Z, India Carney, and Caitlin for her “super-girl” group to sing “Uptown Funk” by Bruno Mars. THE VOICE Season 8 Winner! 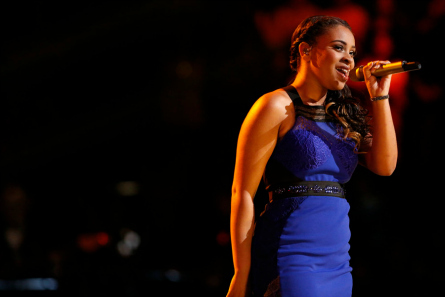 The finalist in fourth place was announced as Koryn Hawthorne (Team Pharrell). The artist taking home third place is Joshua Davis (Team Adam). 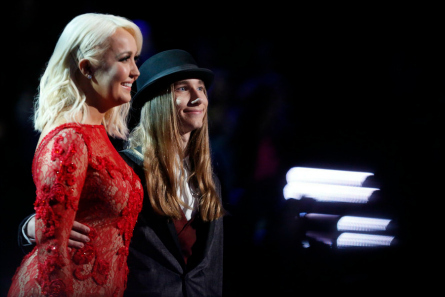 The remaining two artists were Meghan Linsey and Sawyer Fredericks. 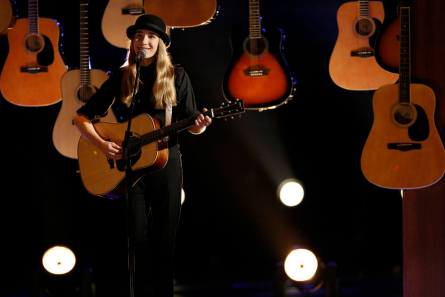 The winner of “The Voice” season 8 is Sawyer Fredericks.